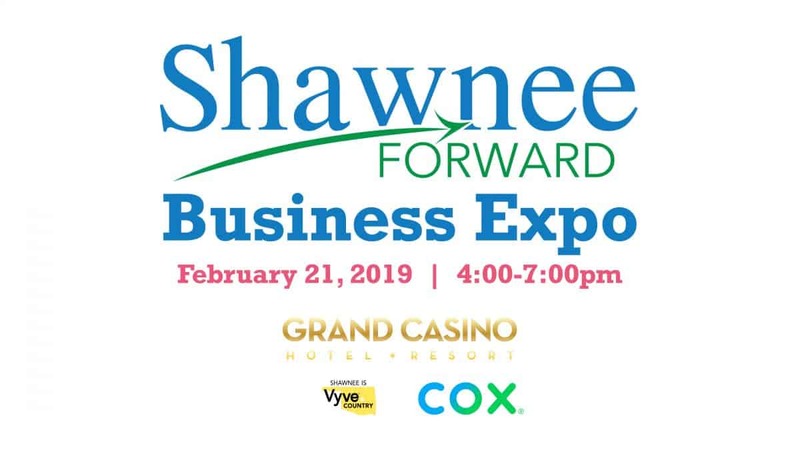 We are now a month away from the Shawnee Forward Business Expo and our list of exhibitors is growing rapidly. We are now close to crossing the two dozen mark and there is still a month until the Expo. Join us February 21, 2019 from 4:00-7:00pm at The Grand Casino and Resort for this event. Now is the time to put your plan together and fill out the registration form. You can find more Expo info at https://shawneeforward.com/business-expo/. Join us for this incredible event. We want to thank The Firelake Grand Casino and Resort for being our Title Sponsor. 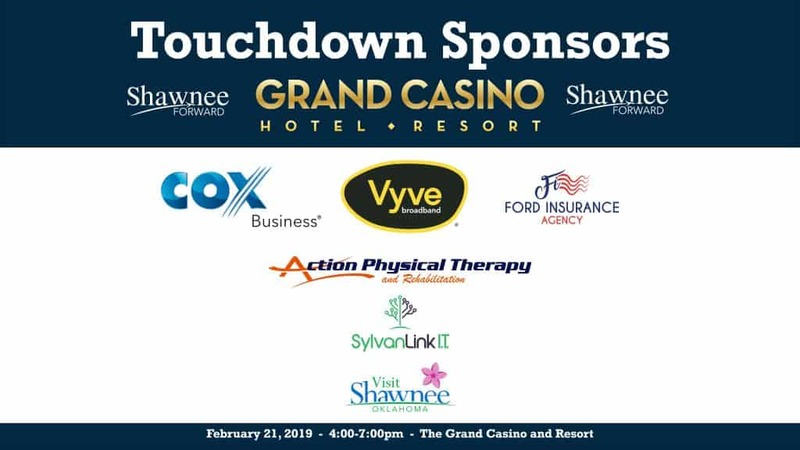 We want to thank Vyve Broadband, Cox Business, Action Physical Therapy, Ford Insurance, A CBD Healthier Life, and Collision Works of Shawnee for coming onboard as Touchdown Sponsors for the Business Expo. We are looking forward to seeing all of our exhibitors that night.